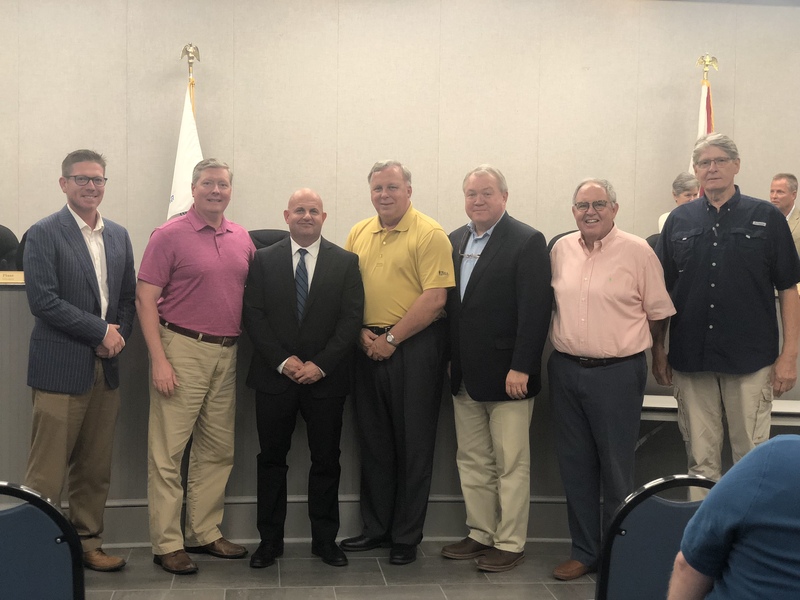 Trussville — During a regular meeting on Tuesday, September 11 the Trussville City Council approved the appointment of Captain Eric Rush to the position of full-time police chief. Chief Rush was surrounded by much support including members of the Trussville Police Department, fire department, his wife, Angela, and two children. Rush’s siblings and parents were also in attendance. Rush shares that as he transitions into the role as chief he will continue in the direction that the former chief, Jeff Bridges, paved for the department. “It is a new chapter,” he said. “The former chief had everything going well in the department. I just want a smooth transfer and see a new chapter unfold within the Trussville Police Department. Rush has been serving with TPD since 1996 and fills the position Bridges who retired in July.